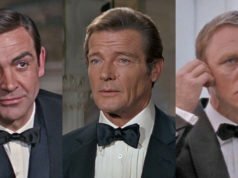 In Thunderball, Bond wears a short black boot with his suits. It might be more appropriate to call it a tall shoe as it hardly reaches the ankle. It has no laces but it has elastic under the instep to help get it on and off. The literary Bond “abhorred laces”, so this shoe is quite appropriate for the character. 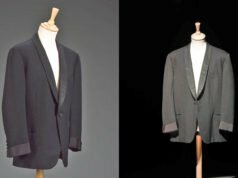 It’s more formal than the casual loafers/moccasins that the literary Bond wore and more acceptable for a suit. This boot is made from three pieces of leather, the two quarters and the vamp. The two quarters are held together over the instep with a strip of elastic. The shoes is essentially a taller version of the Alfred Sargent Burlington pictured below. The shorter Burlington is very similar in style to the shoes Bond wears in You Only Live Twice. This boot is not the same one that Sean Connery wears in Goldfinger. 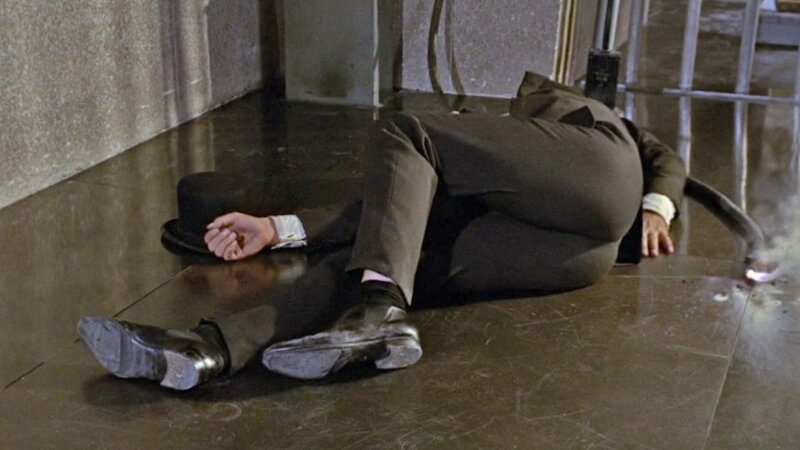 The boot in Goldfinger (pictured below) is more like a short Chelsea boot with a elastic gusset on the sides and can be seen with the dark brown striped suit in the Fort Knox scene. 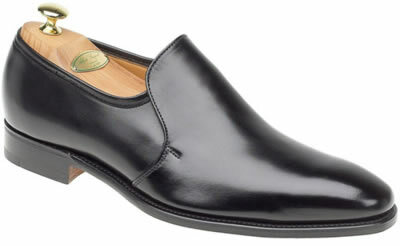 I would say that the "Aintree" by Edward Green is closer to Bond's shoe than the Alfred Sargent shoe. Perhaps it is on Green's website? Wow, that shoe looks spot on! Thanks for letting me know about that. I'm sure the style was far more common in the 1960s. In You Only Live Twice, Bond leaves his shoes at the entrance of Henderson's (and presumably recovers them from Aki later) and leaves in the shoes he takes from the assassin who kills Henderson. The latter pair seem to be quite natty black and white elasticated spectator shoes, not something I had previously associated with 1960's Japanese henchmen. Is there a sartorial explanation that makes this shoe actually make sense in this context? You do have a point there, but there’s a catch – that guy was supposed to be an elite assassin, not just a regular henchman. As he was sent to assassinate Bond’s contact (no small fish himself) it’s easy to presume he has eliminated some high rollers before that – so he could have taken those shoes from his target, as [war] booty. After all, Bond came in possession of those shoes it that exact way. There’s also a possibility those shoes were given to assassin by a zaibatsu officer, as a kind of reward for loyal service (prized status symbol in henchmen hierarchy) – ”for 5 years of service and excellent track record as our assassin we present you with these beautiful shoes” [or raise your monthly pay so you can buy them yourself]. I’m just guessing, as possibilities are limitless. Bond is known to be a fan of the chelsea boot. When did Bond actually wear a chelsea boot? His ankle boots were usually much shorter than chelsea boots and not make in the same style. Why so little discussion on Bond's apparel in You Only Live Twice? Granted, for a lot of the 2nd half of the movie, on account of his "marriage" on the Japanese island, he's dressed as a native. I'd be interested in view on his suits in this movie. From what I recall they didn't seem as neat looking and fit as well as in the previous movies. Can this be to do with the fact that Terence Young was no longer influential as director on the character's style? 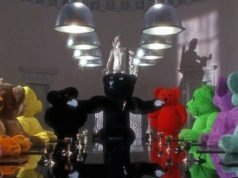 Do you think the suits featured in YOLT were by Anthony Sinclair? I think there are Ankle Boots in Skyfall! There are pictures from Daniel Craig.